At Flower Camping Le Rompval, slow down to experience simple and genuine things, have your kids discover dragonflies, ocean and forest scents. Settle in an unusual and playful accommodation in the heart of a beautiful protected nature on the top of grand cliffs and enjoy relaxing and peaceful holidays. these accommodations with an uncommun style will give you unforgettable holiday! Perfect for couples... Area : 20 m2 Capacity : 2 persons In the studio you dispose of an equipped American kitchen (dish washer, microwave oven, refrigerator…), a dinner corner, salon with television, a double bed (140x190), a bathroom (shower + washbasin) and a toilet. Comfort beneath a canvas! Area : 20 m2 Capacity : 4 persons n a Funflower or canvas bungalow without sanitary you dispose of 2 rooms and a cooking corner (gas cooker, microwave oven, dish washer for 4 persons). 1 double bed (140x190) and 2 single beds (70x190). Tent, caravan or camping car, a vehicle and electricity (6A) are included. The original 'tube' facilities are getting a little old and worn, but they are nevertheless kept spotlessly clean. 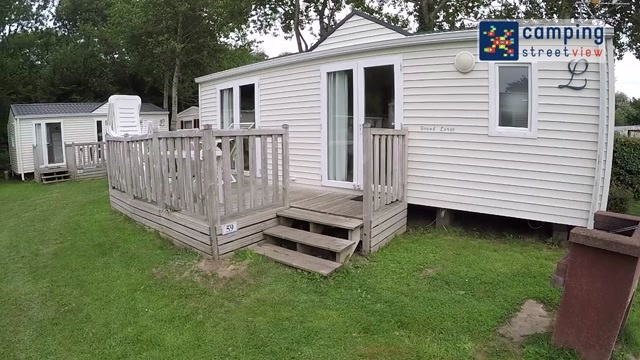 This is a lovely, friendly, family-run campsite in a beautiful location. We took our son who is a wheelchair and stayed in their dedicated disabled accommodation which was really excellent including an entrance ramp for the wheelchair, more space inside, and a large disabled shower. The atmosphere on the site was friendly and cheerful, and the site itself is full of trees, shrubs and flowers which makes it an attractive place to stay. Great facilities and a well maintained, welcoming campsite. The children really enjoyed the pool, bouncy castle and play area. There is also plenty to do and see in the local area. We really enjoyed our stay and hope to return. Nice pitch, level, some shade and plenty of room. Disappointed that the information leaflet you receive on arrival was only in French, it looked very comprehensive but we could not understand it and as you receive a lot of British guests it would be helpful if you could have an English version. Lovely site and very friendly helpful staff. Shower lacked a decent head. Small but furnished appropriately. Good range of utensils. Different! Ruhe. Nette Campingplatzbetreiber. Nähe zu Sehenswürdigkeiten. Großer Stellplatz mit allem Komfort. 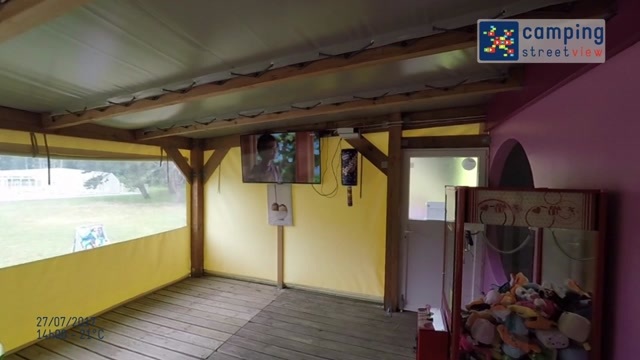 bon camping personnel disponible, a l'écoute, piscine très bien, matelas très bon, juste parfait!! très bien, matelas au top. 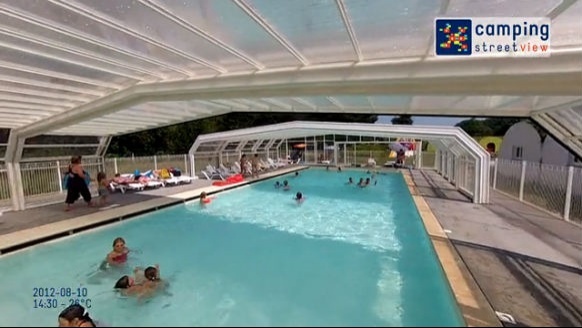 Porte qui reste ouverte à la piscine.En avril il fait froid.Dommage les courant d air que l ont ne puisse pas laisser fermer la porte. Les frais supplémentaires de 20 euros pour arrivée tardive à 20h30. 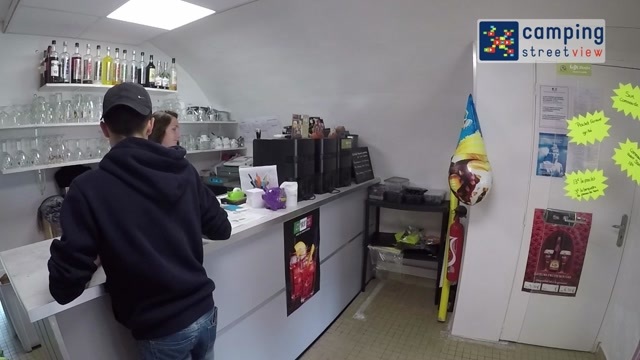 Très bien reçu par la jeune receptionniste du camping.